Our handy envelope size guide below will help you work out which standard size envelope you’ll need, plus hopefully give you a good understanding of envelope sizing for the future. If you’re interested… DL originally stood for ‘DIN Lang’ which was of German origin, but nowadays it is commonly stands for ‘Dimension Lengthwise’. 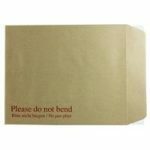 There are some other envelope sizes that are used today but we have put the most common sizes you’ll need below. 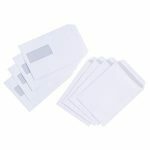 We supply a huge range of envelopes so please just ask if you can’t find what you’re looking for. 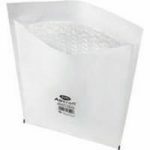 A standard DL envelope measures 110mm x 220mm, this is what most people consider a “letter envelope”. Padded and Bubble Lined The envelope is lined with either felt padding “padded” or bubble wrap material “Bubble lined” which is ideal for sending fragile items. The 2 orientations are called Pocket where the flap is on the shorter edge and Wallet where the flap is on the longer edge. Self Seal Simply apply pressure to the seal which will then stick.